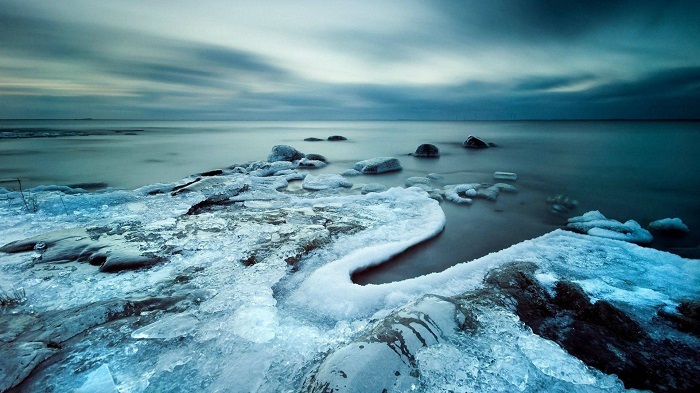 The Frozen Gulf is a frozen, arctic body of water, located east of the Northern Peninsula. The Gulf is so named because it never thaws completely; even in the height of summer. In winter, the Gulf is completely covered in vast sheets of ice. Many Hüornen traders take sled teams and trek across these sheets of ice to travel between the Northern Peninsula, Seltar Isle and the northern coasts of the Khorlann Steppes region.